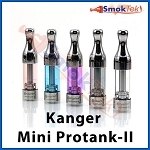 Extend the life of your Kanger ProTank, Kanger ProTank-2 and Kanger Mini ProTank-2 by replacing only the coil! These single coil heads will also fit the Kanger EVOD, Unitank, Mini Unitank and MT32 Clearomizers. They will NOT work with the ProTank-3 or AeroTank series of clearomizers. It's easy to do, just unscrew the bottom assembly from the tube, remove the old coil and simply screw a new coil assembly into base. 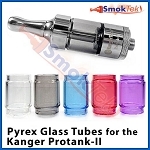 Fill with E-Juice by tilting the ProTank at a slight angle and dripping juice down the inside wall of Glass Tank.Do not put e-liquid into the center tube as it will leak out the bottom of clearomizer. After filling, set your clearomizer aside for a few moments to allow the new coil to become fully saturated with e-liquid. Please note that Kanger is transitioning into using NiChrome (NiCr) wire for these coils. The latest coils also have updated packaging. The new packaging may say "MT32 Coil" and denote the use of NiCr wire. Price is for a single piece. Get a Quantity Discount when you buy 5 or more coils - view "Quantity Pricing" in the menu above. this tank is the best tank yet.I like it better than my new kanger pro 3 dual coil tank even, an the coils are cheaper also! Keep on Vapen !! These coils work great I use 1.8. I am using Cuttwood E-liquid. These coils are getting hot when used constantly. Getting about 5-6 days out of one coil. I'm so glad I bought this. I'm technically 'challenged' and ride the short bus when it comes to 'mah's and 'ohm's...(is that Zen?). The taste of my e juice is so much better since its glass. I ordered extra bottom coils and I think I'll stay with bottom coils. If I can replace this anybody can. I let mine soak after filling for a few minutes and the most effortless drag on my pro tank and I was in clouds of vapor. Hands down, I'll go glass and bottom coils every time from now on. No carry over flavors if you decide to switch . GREAT PRICE SMOKTEK! Q: I wanted to order more coils, I've always used the 1.8 ohm. They are not listed on the order form. If no longer available what would be a suitable substitute? 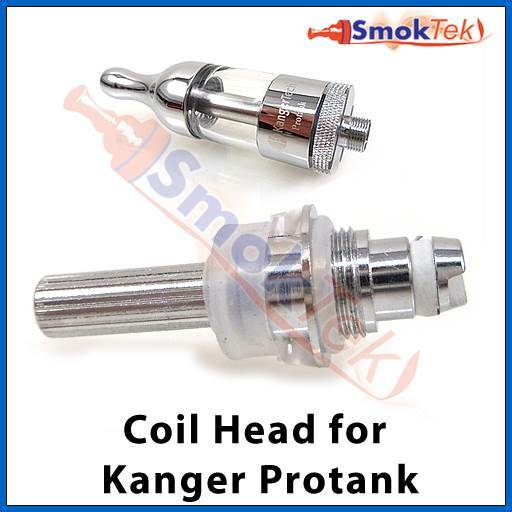 I'm really sorry that we're temporarily out of stock on the 1.8 ohm Replacement Coil Head for the Kanger ProTank/ProTank-2/EVOD/MT32. The 1.5 ohm and 2.2 ohm ProTank Coil will also work well. At the same voltage, the 1.5 ohm coil will produce more vapor and heat than the 1.8 ohm coil, and the 2.2 ohm coil will produce less vapor and heat than the 1.8 ohm coil. 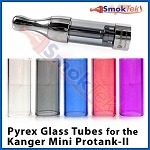 Q: Hello, is this item come in pack of five coil or they are sold individually? A: Like most of our coils, they are shipped to us in 5-packs, but are sold individually. If you buy 5, you will get one 5-pack.